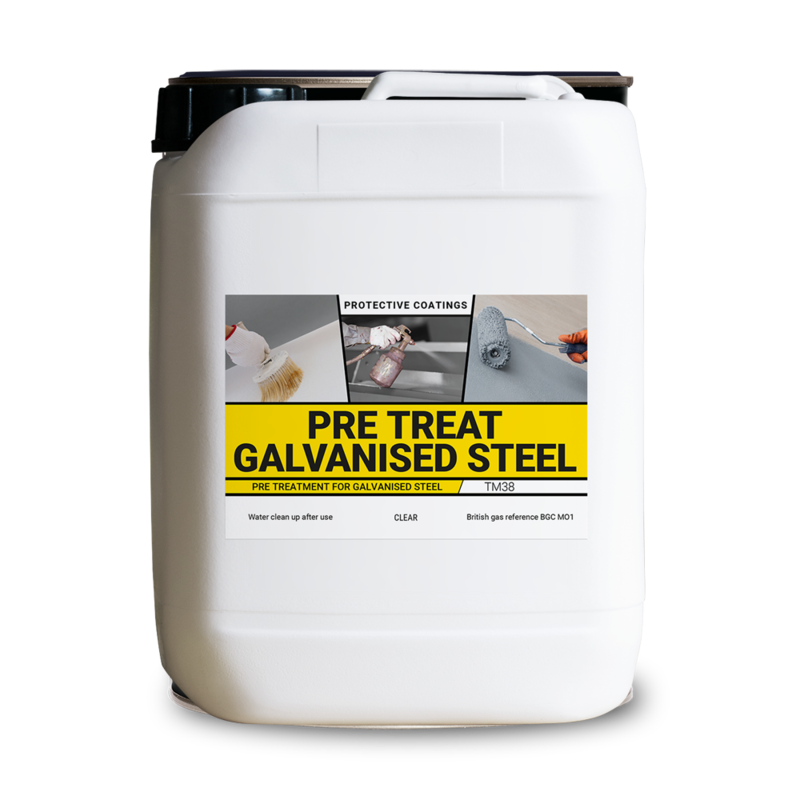 Acid base in water and water miscible solvents designed as a pre-treatment for galvanised steel. Clean up with water after use. British gas reference BGC MO1. Department of Transport Item NO:155. Galvanised Steel. Apply evenly and allow time to react, giving even black or dark grey surface. After the reaction surface should be rinsed with water.